Now is the time to get ready for more magic in your life to happen as you share your smile with the world. Although smiling has a fabled legacy as an international symbol of positive feelings and good intentions, it is also a powerful means of securing friendship and peace. When you smile, you directly demonstrate interest and engagement. This active communication creates, preserves, and solidifies relationships between you and professional colleagues, friends, and family members. Even if you aren’t quite grinning like the Cheshire Cat, your smile, and the good-natured disposition it conveys will linger in other people’s minds when you aren’t physically present. Any one of these benefits is a boon to your health; in combination, they are truly miraculous. Since each of these benefits represents powerful hormonal and other biochemical transformation, smiling can be the beginning of a healthier new you. While a smile can make anyone look better, you will find it is much easier to share your smile when your teeth are looking their best. Gleaming white, strong, and shapely teeth are a joy to show off and help showcase your message to the world. 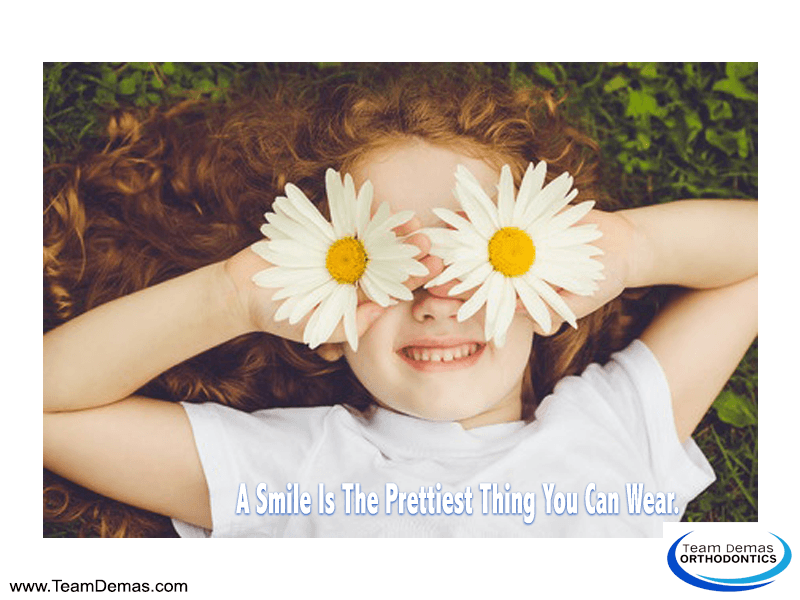 Since this is one area you don’t want to leave to chance, take a few moments to contact the premier orthodontic care professionals at Team Demas Orthodontics for an expert consultation with Dr. Demas.